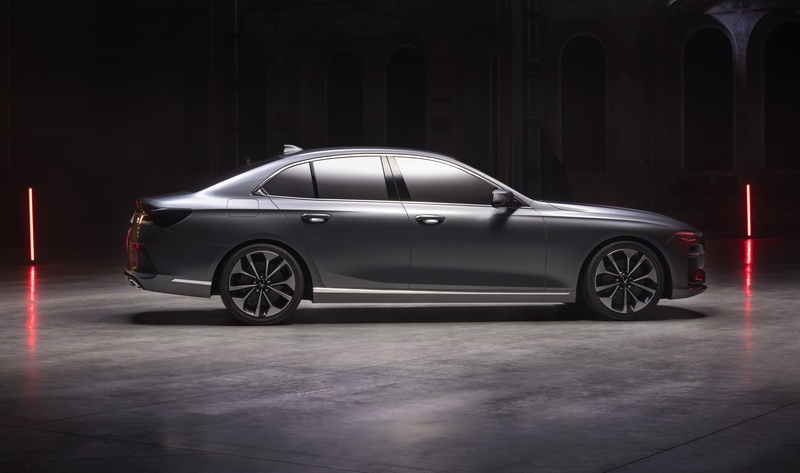 TheLEADERVinFast has just debuted images of exterior design of its first two car models, which fuels the hope that Vietnam will soon have made-in-Vietnam cars not only targeted to domestic market but also exported to international markets. The first two car models will be showcased at the Paris Motor Show 2018 in October 02 and publicly announced in Vietnam in December. The two car models have received a lot of compliments from the public. 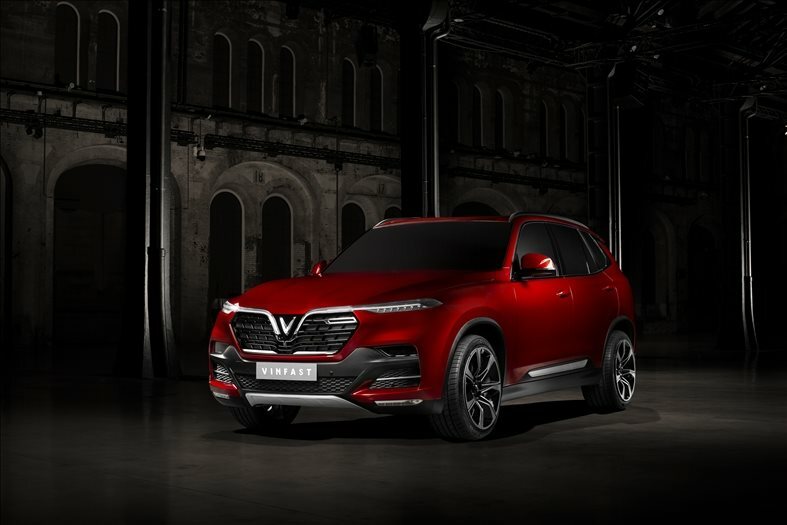 Characterized by perfect ratio and dimensions, modern and firm structure, strong beauty, elegance and full of energy, especially, the impressive V-shaped logo, VinFast's Sedan and SUV models represent the spirit of breakthrough of a new and dynamic Vietnam. VinFast's criterion "Vietnam - Style - Safety - Innovation - Pioneering" have been expressed excellently through world-class design by Pininfarina - the famous Italian creative team. Both cars are developed based on the best ideal ratio and dimensions of the international car industry. With the classic structural background, VinFast’s and Pininfarina’s designers have designed and manufactured cars with firm structure, long wheelbases, elegant and inspiring style. With the debut at the Paris Motor Show 2018, VinFast will become the first Vietnamese automaker to participate in the Top 5 International Automobile Exhibitions, confirming confidence, different thinking and global vision of a vibrant and energetic Vietnamese youth brand which is moving forward. In September 2017, VinFast kicked off its automobile manufacture factory project. The project consists of automobile and motorbike factory complex, training and research centre, etc. VinFast’s factory complex has the capacity design of manufacturing 250,000 cars and 500,000 motorbikes and electric cars a year. The firm targets to export cars in the period from 2020 to 2025. VinFast’s goal is to become the leading automobile manufacturer in Southeast Asia with pivotal products using internal combustion engines, electric engines and environment-friendly electric motors. It is expected that the VinFast will introduce its motorbikes and the first VinFast-branded automobiles including electric cars and gasoline cars by 2019 to 2020. The automible market is a fiercely competitive market because it is shaped and segmented by large-scale automakers which have decades and centuries of years of production experience. Although VinFast has not disclosed the selling prices of the two Sedan and SUV models, however, many of readers, after enjoying the video of the two cars, said that if these cars had a reasonable selling price, they would buy in order to support Vietnamese products. If it was true, the Vietnamese auto market would probably experience fluctuations in terms of price and market share. The reasons are that VinFast is now not only a Vietnamese automaker but also a pride of the Vietnam and would contribute to marking Vietnam on the world’s map of car production. The fact that Vingroup, which has specialized in real estate including resorts, hotels but entered the manufacturing industry, makes the most optimistic people skeptical about its success. However, with serious and decisive attitudes toward work, speed and efficiency, the strategic and different agreements with the world's leading corporations as well as important factors such as financial capacity, brand prestige and determined will, Vietnam is about to have a car brand for its own people and is approaching the dream of the automobile industry.